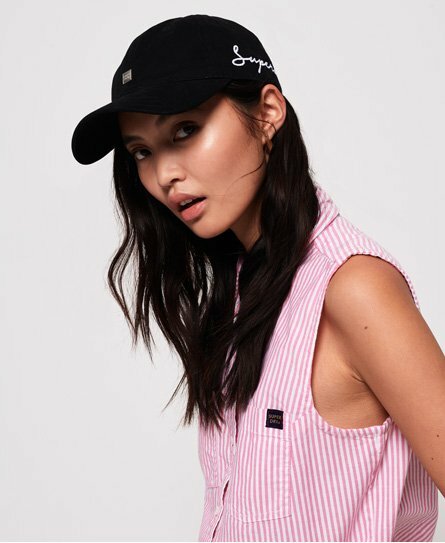 Superdry women's Script cap. This cap is a must have for your accessory wardrobe this season. Featuring an adjustable strap at the back for your perfect fit, an embroidered Superdry logo across the side and finished with a metal Superdry badge on the front.